A consummate performer and stellar guitar player / multi-instrumentalist, Karl’s singular presence on stage is surprisingly engaging and always entertaining. He is truly a class act who breaks every expectation of a typical solo acoustic singer-songwriter. 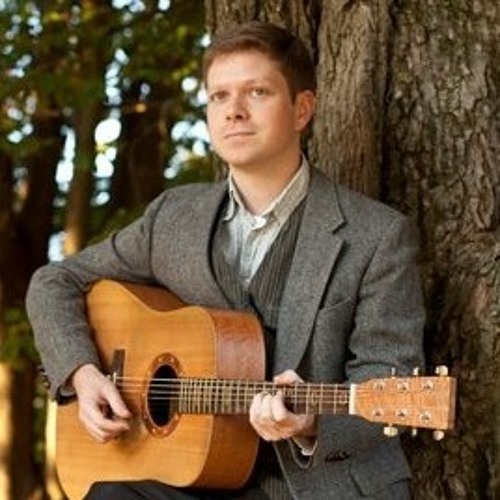 Between original works and his own take on existing songs, his style blurs genres, ultimately focused on the traditional mountain music of Appalachia. Spring-boarding from the Allegheny Echoes Workshops, he has studied with and performed alongside some of the modern-day greats of Appalachian music including Robin Kessinger, Robert Shafer, Bobby Taylor, The Bing Brothers Band, The Whitetop Mountaineers, and The Poor Taters (to name a few). Some notable performances include Oyster Ridge Music Festival, The Tamarack, Richmond Folk Music Society, Shady Grove Coffeehouse, The Charleston Culture Center during Vandalia Gathering, and The Catan World Championship. Incorporating the feeling and story-telling of Appalachian music community in his own music, which has been compared to Gordon Lightfoot, Gram Parsons, Tim O’Brien, and Gillian Welch, Karl is a true and modern reflection of the melodies passed down through generations. His songs weave complex emotion through metaphor in a subtle dance around the stories they tell, and his voice fits perfectly between his masterful rhythmic chord stylings and his powerful and expressive flat-picking. He is truly one of the best undiscovered modern folk performers today.